On the 10th of April at 5.00 pm at Collegio Volta Marloes Tijssen of the Department of Haematology University of Cambridge, UK will give a seminar entitled From ChIP-Seq to a role for Tropomyosin-4 in platelet biogenesis. The seminar is organised and chaired by A Balduini, the poster of the seminar can be downloaded here. The seminar, organised jointly with Collegio Volta will review recent progress in the underdstanding of tropomyosin-4 in platelet formation. All members of the Department are invited to attend, especially PhD students and post-doctoral fellows. Platelets are anuclear cells that are essential for blood clotting. They are produced by large polyploid precursor cells called megakaryocytes. Previous genome-wide association studies in nearly 70,000 individuals indicated that single nucleotide variants (SNVs) in the gene encoding the actin cytoskeletal regulator tropomyosin 4 (TPM4) exert an effect on the count and volume of platelets. Platelet number and volume are independent risk factors for heart attack and stroke. We have identified 2 unrelated families in the BRIDGE Bleeding and Platelet Disorders (BPD) collection who carry a TPM4 variant that causes truncation of the TPM4 protein and segregates with macrothrombocytopenia, a disorder characterized by low platelet count. N-Ethyl-N-nitrosourea-induced (ENU-induced) missense mutations in Tpm4 or targeted inactivation of the Tpm4 locus led to gene dosage-dependent macrothrombocytopenia in mice. All other blood cell counts in Tpm4-deficient mice were normal. Insufficient TPM4 expression in human and mouse megakaryocytes resulted in a defect in the terminal stages of platelet production and had a mild effect on platelet function. Together, our findings demonstrate a nonredundant role for TPM4 in platelet biogenesis in humans and mice and reveal that truncating variants in TPM4 cause a previously undescribed dominant Mendelian platelet disorder. Dr Marloes Tijssen is a Research Scientist – Programme Leader at the University of Cambridge. Dr Tijssen graduated from the VU University Amsterdam with an MSc in ‘Medical biology’ and completed her PhD studies at Sanquin Research/University of Amsterdam. In 2008 she moved to the Department of Haematology at the University of Cambridge and secured a prestigious Rubicon Fellowship from the Dutch government and a Marie Curie Intra European Fellowship. 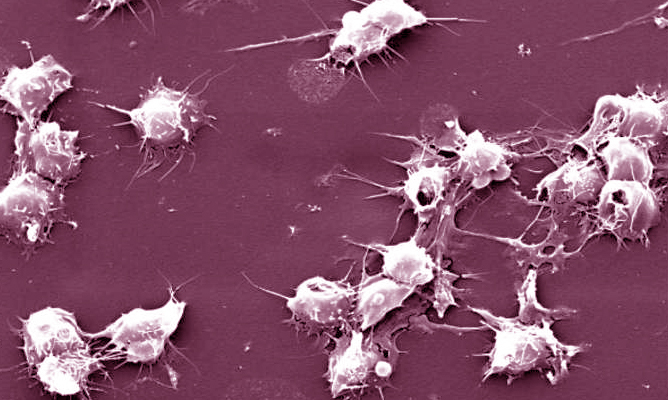 In the laboratory of Prof Göttgens she generated a genome-wide catalogue of transcription factor binding in megakaryocytes, the precursors of platelets, leading to the discovery of novel regulators of megakaryopoiesis. She was awarded a European Hematology Fellowship and a British Heart Foundation project grant to further characterise these novel regulators, including Tropomyosin 4 (TPM4). In collaboration with the BRIDGE consortium and Prof Ouwehand’s group they have shown that a mutation in TPM4 causes macrothrombocytopenia. Pleines I, Woods J, Chappaz S, Kew V, Foad N, Ballester-Beltrán J, Aurbach K, Lincetto C, Lane RM, Schevzov G, Alexander WS, Hilton DJ, Astle WJ, Downes K, Nurden P, Westbury SK, Mumford AD, Obaji SG, Collins PW, Delerue F, Ittner LM, Bryce NS, Holliday M, Lucas CA, Hardeman EC, Ouwehand WH, Gunning PW, Turro E, Tijssen MR, Kile BT. Mutations in tropomyosin 4 underlie a rare form of human macrothrombocytopenia. J Clin Invest. 2017 Mar 1;127(3):814-829. Tijssen MR, Cvejic A, Joshi A, Hannah RL, Ferreira R, Forrai A, Bellissimo DC, Oram SH, Smethurst PA, Wilson NK, Wang X, Ottersbach K, Stemple DL, Green AR, Ouwehand WH, Göttgens B. Genome-wide analysis of simultaneous GATA1/2, RUNX1, FLI1, and SCL binding in megakaryocytes identifies hematopoietic regulators. Dev Cell. 2011 May 17;20(5):597-609.